Tesla recently added a feature to its Model S allowing users to summon their car like an obedient dog, and now the Apple Watch is on board too. Other than being ridiculously cool, the process essentially works like summoning with a key fob. The summon feature came with update v7.1 on the Model S, allowing owners to autonomously summon and park the cars—whether there is a garage door in the way or not—with the push of a button. The technology is available away from the key fob now, too. 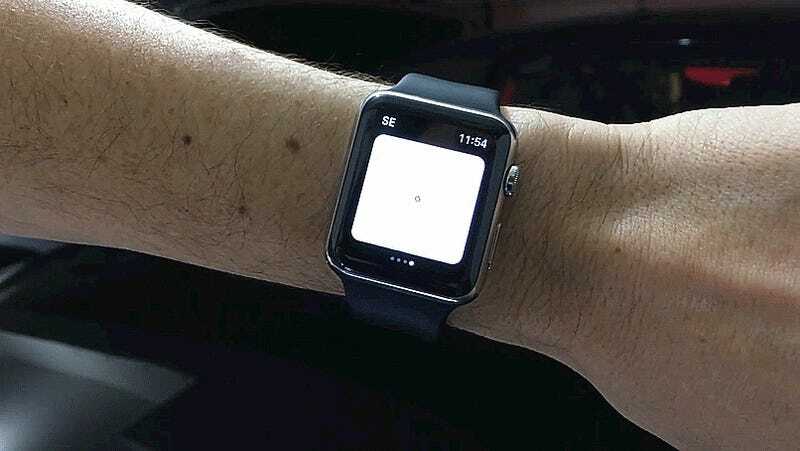 According to the International Business Times, an app update released for the Apple Watch on Wednesday now allows users to boss their Teslas around with a tap of their wrist. Hey! Developer of Remote S here. Congrats on being the first person in the world to summon a car from a watch! I actually didn’t have my Apple Watch with me when I was coding this feature, so I’m not the first person to be able to do this. Concluding the message with a tip for the app, the commenter told Schey to try using the remote/keyless-start feature to be able to summon the car without a key fob. Using that feature would allow an owner to “summon the car without physically being near the car at all,” according to the comment.